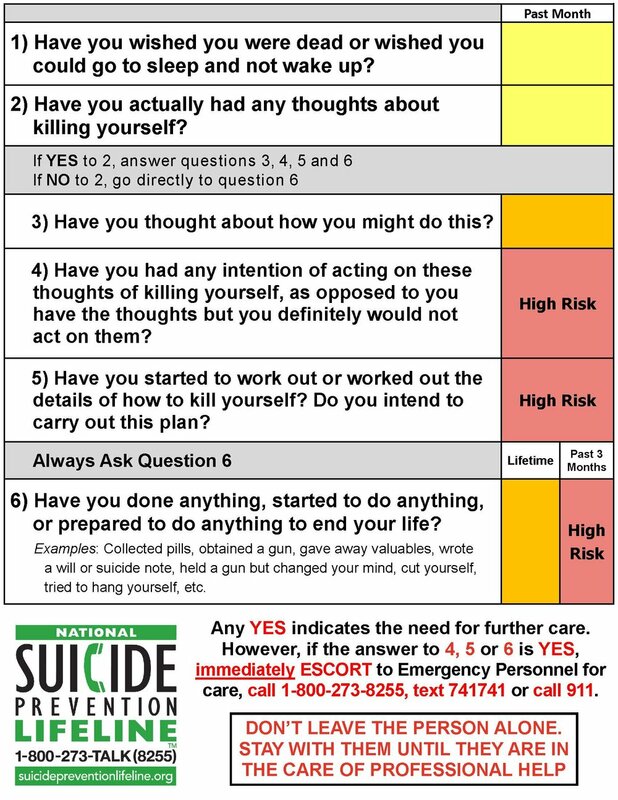 Building on yesterday's post, here is an example of the Columbia Lighthouse Project's community card with the six-question protocol to help someone who may be considering suicide. This example is from the card for friends and family. There are other similar cards for a spouse, parent, or teen, and another set for health care workers and first responders, coaches, teachers, etc. Follow this link for the families, friends, and neighbors protocol. And this one for communities and healthcare.